Cash out refinance - pay off debt, student loans, or Adjustable Mortgage - Refinance today? We LOVE Our Veterans - We are Zero down payment VA Loan Experts! Need a Mortgage loan in the St Paul, MN area? Welcome! We are glad you came to see us! We are the award winning St Paul, MN area Mortgage Experts, with a 5 STAR Promise! What loan programs are available to you? Should I continue to rent or buy a home? These questions have difference answers for every potential home buyer, so you need an expert Loan Officer to review your application to help decide. Let Mortgages Unlimited, a highly regarded local Minnesota Mortgage Company help you determined the right home price and loan option best for you. First time home buyers can easily get stressed over financing if you do not have the right mortgage company behind you. Apply now, then sit back and relax... knowing our fully licensed and experienced Loan Officers will walk you though the entire home buying process, so you can enjoy your home buying experience. Mortgages Unlimited is committed to providing you with the best loan options and the lowest interest rates available in the St Paul, MN area, and throughout all of Minnesota, Wisconsin, and South Dakota! We have an extensive list of loan programs from which you can expect to receive the most competitive quotes, from the best and most knowledgeable financing professionals in the area. We give you an accurate picture of what you can expect for a mortgage loan in the local market. We have a complete range of home loan programs and options for anyone looking to get a mortgage in St Paul, Minneapolis, Duluth, Rochester, Madison, Milwaukee, Pierre, and all of Minnesota, Wisconsin, or South Dakota. We provide information and comprehensive advice to help homebuyers make sound borrowing decisions. You can own your home - and enjoy the benefits without worrying about big payments, because our mortgage programs offers down payment assistance programs for low to middle income families with credit scores above 660. Learn how to get a Zero Down Payment loan with the USDA Rural Development loan. 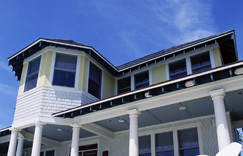 Learn about the awesome FHA or VA Streamline Refinance. Learn about the Minnesota Housing Finance Agency Start Up and Step Up down payment assistance programs. Get up to $10,000 in first time buyer down payment assistance. I first contacted a "Quick" internet lender, but your FHA interest rate was a full 1/2% lower, and unlike the "Quick" lender, you guys really know your stuff. "Joe and Eric made the loan process very easy. From answering all my questions, to filling out the application, to my closing. Things were handled in a very timely manner, and application to closing was only 3 weeks. Mike M. - St Paul, MN. I was a first time home buyer. I first talked to my bank, but that person just treated me like a number. Joe explained everything, even why they needed all the paperwork. It made so much more sense afterwards. Thank you for taking all my phone calls and helping me buy my cute new home! Thank you so much. You have been amazing. I can tell you all I have done is tell everyone I know about you! I can't express how grateful our family is for everything. You have been so patient with us.